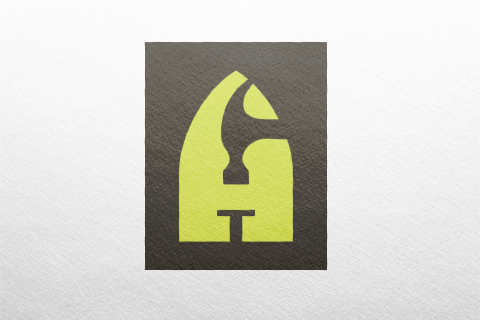 Identity for Archwood Construction, a full-service renovation company operating out of Ottawa, Ontario, and the surrounding region. 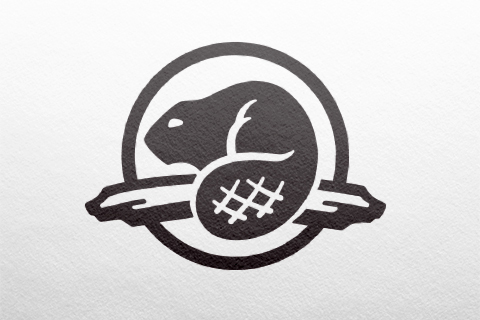 Identity for Parks Canada, a Government agency responsible for protecting/presenting nationally significant examples of natural and cultural heritage. 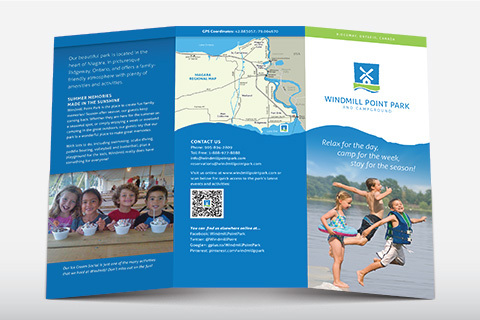 Identity for Windmill Point Park, a family-owned/-operated campground and picnic park, located in Ridgeway, Ontario. 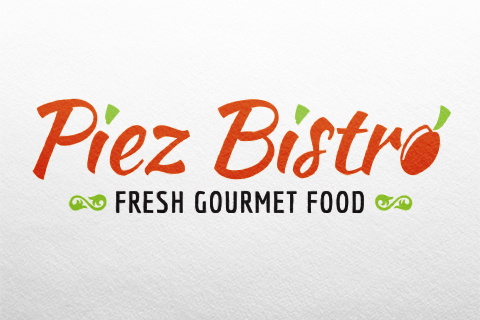 Identity for Piez Bistro, a local business specializing in gourmet pizza, with a gluten-friendly menu, and quick, healthy meals. 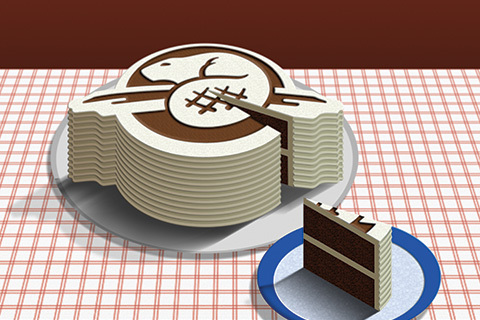 Creative development of a number of printed pieces (calendars, brochures, banners, etc.) 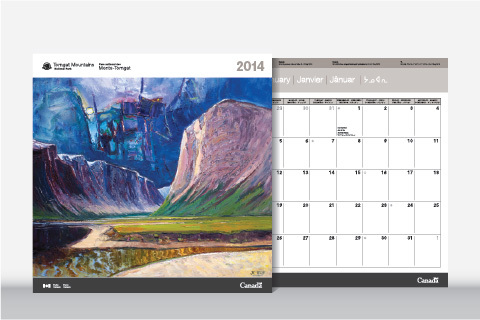 for Torngat Mountains National Historic Site. 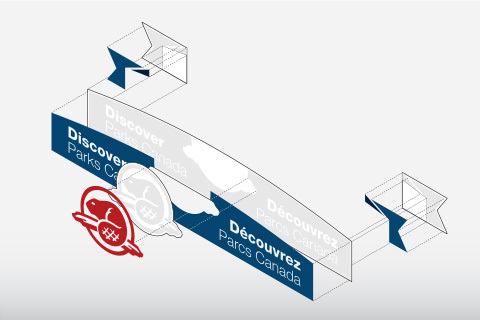 Creative development of a number of printed pieces (maps, brochures, membership cards, etc.) 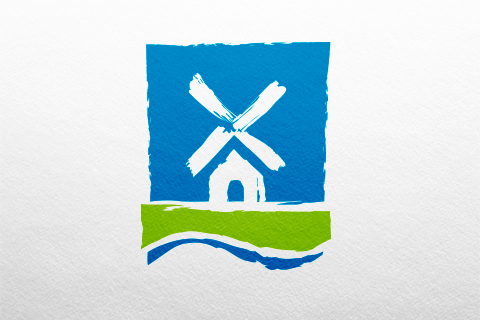 for Windmill Point Park. 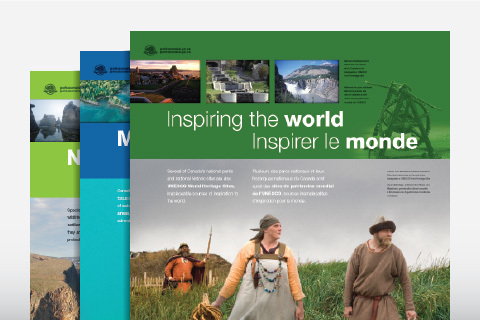 Panel/poster series for iconic parks and historic sites that was later adapted into a series of ads, displays and other print collateral for Parks Canada. 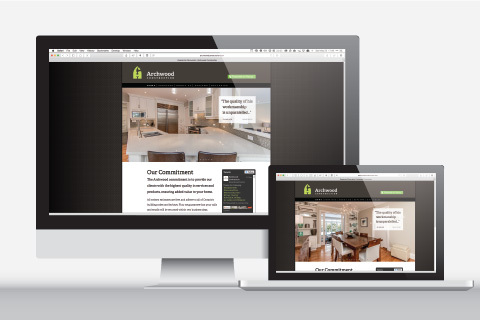 Website designed for Archwood Construction to showcase their high-level carpentry and renovation capabilities. 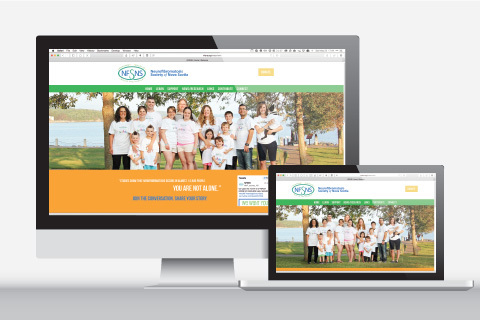 Website designed to inform/educate people about Neurofibromatosis and help connect those affected by the genetic disorder. 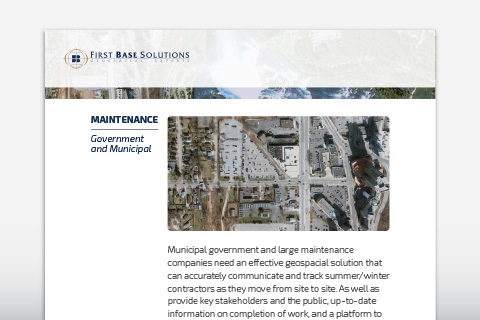 Website designed for First Base Solutions to highlight their geospatial products, and how they benefit their clients. 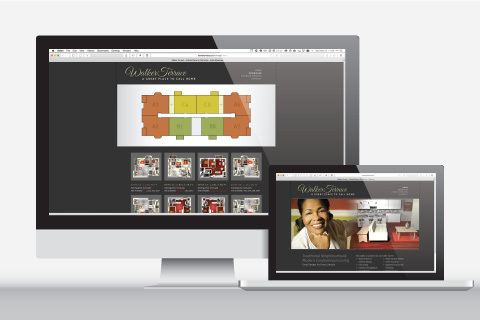 Website designed to promote Walker Terrace, a new condo development in Sackville, Nova Scotia, and showcase the interior layouts for the different units. 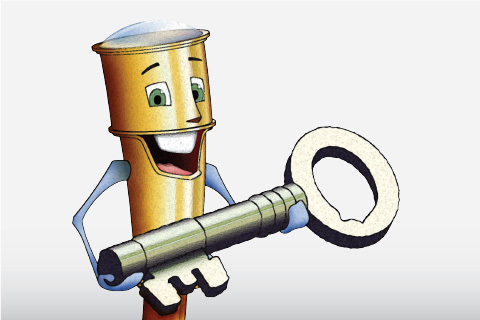 Tully the Telescope, a fun and adventurous guide, designed and illustrated for an educational game at Fort Anne National Historic Site. Series of illustrations for the Government of Canada Workplace Charitable Campaign (GCWCC) fundraiser posters for the United Way. 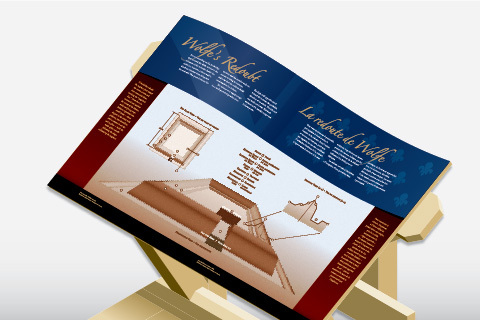 Perspective illustration designed for the Fortress of Louisbourg National Historic Site, to help visitors visualize the unearthed remains of Wolfe’s Redoubt. 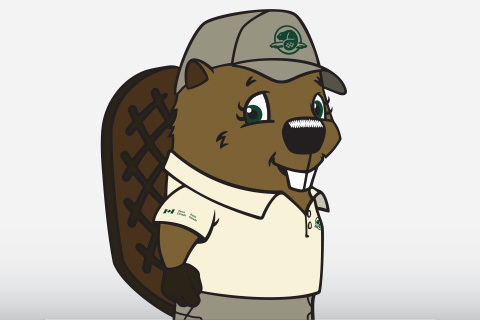 “Parka” was designed to be a strong, young, active and curious, female beaver, and the official mascot of Parks Canada. 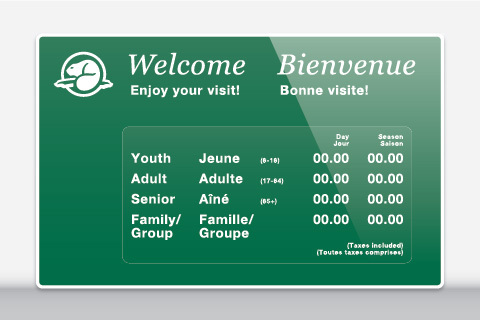 A nation-wide system of exterior information, identification and directional signage for Parks Canada. 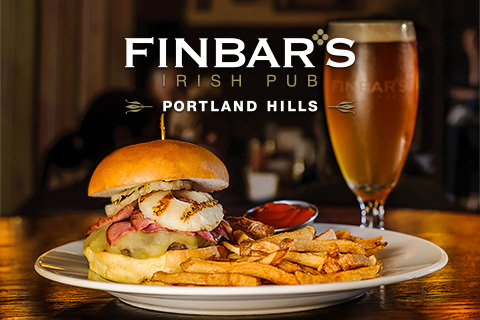 Exterior sign and decorative awnings for Finbar’s Irish Pub, Portland Hills location. 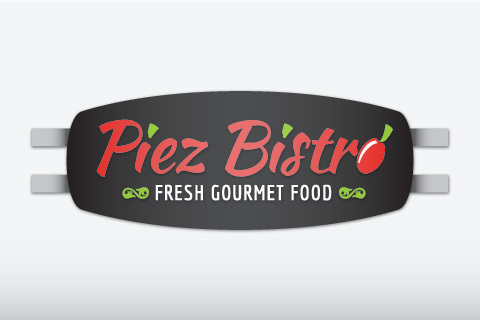 Primary exterior sign and decorative awnings for Piez Bistro plus, a variety of other secondary support signage. 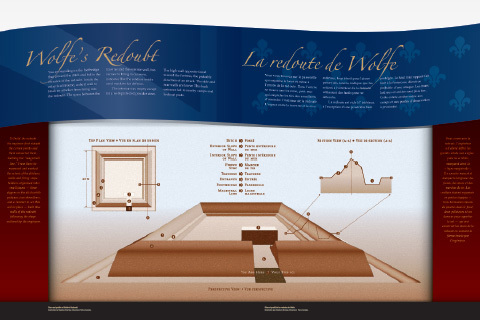 Series of interpretive panels designed for the Wolfe’s Trail at the Fortress of Louisbourg National Historic Site. 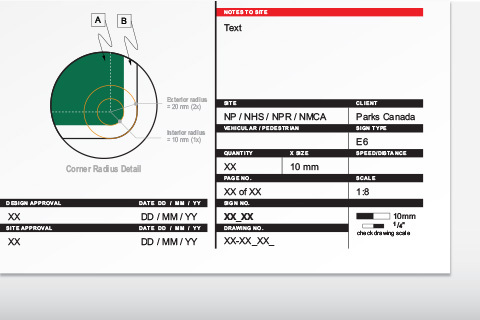 Numerous technical drawings were created in support of Park Canada’s Exterior Signage Standards and Guidelines. 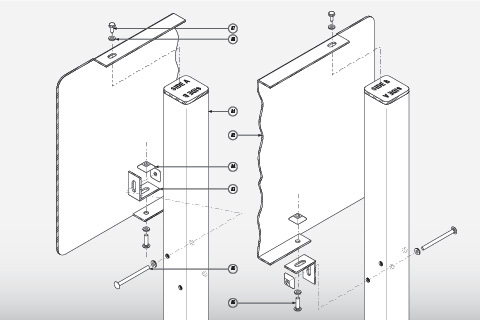 Technical drawings for the fabrication of exterior signs for various professional tenants at Portland Hills. 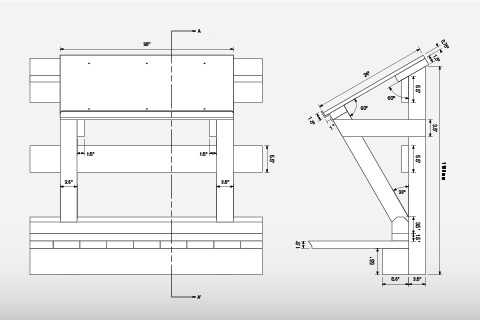 Technical drawing for a structure to support and display interpretive panels for the Wolfe’s Redoubt Trail. Interior/exterior technical drawings for interpretive kiosk, on the Halifax waterfront, to commemorate the War of 1812. 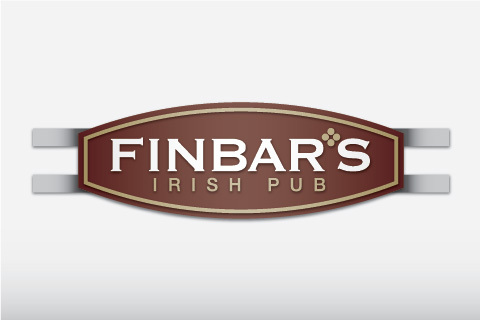 Signage templates facilitating the rapid design of thousands of exterior signs. 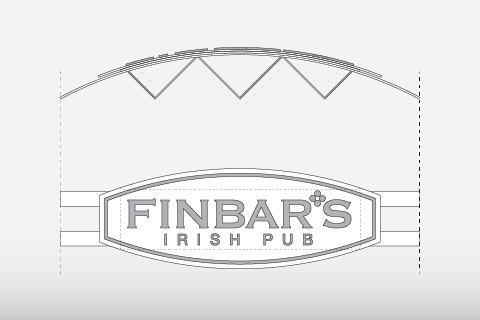 Prepared in Adobe Illustrator. 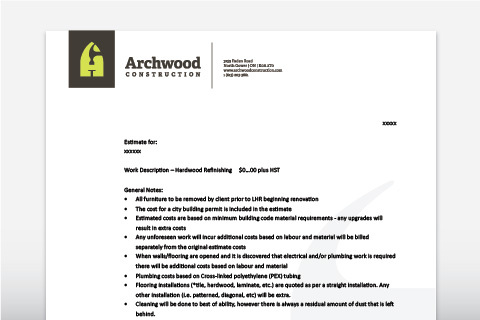 Stationery template for Archwood Construction, used as a company letterhead, and for renovation estimates/invoices. Prepared in MS Word. 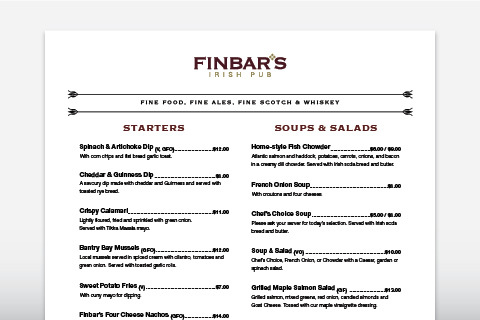 A suite of menu and tabletop-promo templates for Finbar’s Irish Pub. Prepared in MS Word. 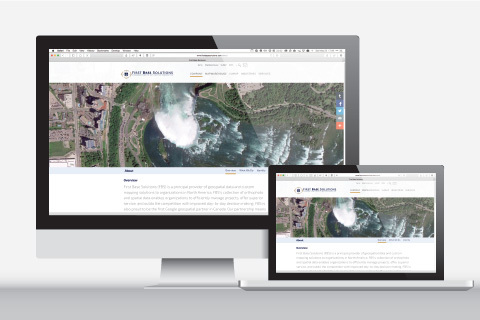 A suite of document templates designed for First Base Solutions. Prepared in Adobe InDesign and MS Word. *In addition to what you see here, Steelie Design is contracted semi-regularly by other design companies but our agreements do not usually allow that work to be shown here.